Showing 1 - 15 of 145 articles tagged "Grey's Anatomy"
“I know Sandra Oh is in the room, which shakes me to my very core. "I remember asking for the script early because I remember being told that I was basically in every scene. Lowe famously turned down the Dr. There's a 20-year age gap between Ellen Pompeo and Giacomo Gianniotti, but their on-screen age difference is never brought up. 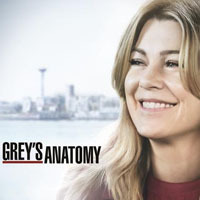 Showrunner Krista Vernoff is excited that the 49-year-old Ellen Pompeo and the 29-year-old Giacomo Gianniotti are in an on-screen romance. 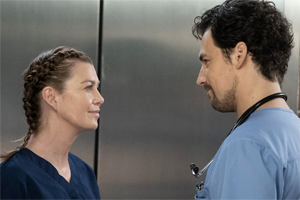 "For me, that is not even a valid debate," showrunner Krista Vernoff says of Ellen Pompeo and Giacomo Gianniotti's characters. The ABC medical drama fell to its lowest numbers in both the demo and in total viewers.